If you’re rummaging for a bargain, then look no further than Car Boot Bingo. This online bingo site has come up with the perfect way for you to bag a couple of quid. This Daily Boost deal can see you win either £250, £500, or £1,000 a month just by playing at the domain. To kick off with, there is the Daily Jackpot Lounge. These games are worth £250 in cash, and take place every single day at 12am daily. Then there are the Mega Jackpot games. These take place at 5pm on Monday nights, and are worth £500 in cash. Lastly, there are the Super Jackpot bingo games. These take place at 5pm on the first evening of every month, and can see you win up to £1,000 in cash. But how do you partake in these magnificent bingo games? Well that part is easy. In order to play these bingo games, you need to make deposits into your account. Every single deposit you make will earn you tickets to all three major bingo games. Of course, the more you deposit the more tickets you will bag. For example, if you choose to deposit just £10 into your Car Boot Bingo account, you will bag 2 tickets to the daily games, 2 Mega Jackpot tickets, and 1 Super Jackpot ticket. That’s 5 tickets in all. However, if you were to make a maximum deposit of £100, you would land 10 tickets to each of the games. Of course, depositing figures in-between those two limits would see you win ticket totals which vary. 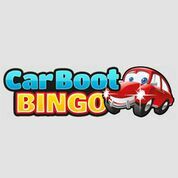 If you aren’t yet playing the Jackpot Specials over at Car Boot Bingo, then sign up now. A welcome bonus which is worth 500% on your first deposit is ready and waiting for you this month.